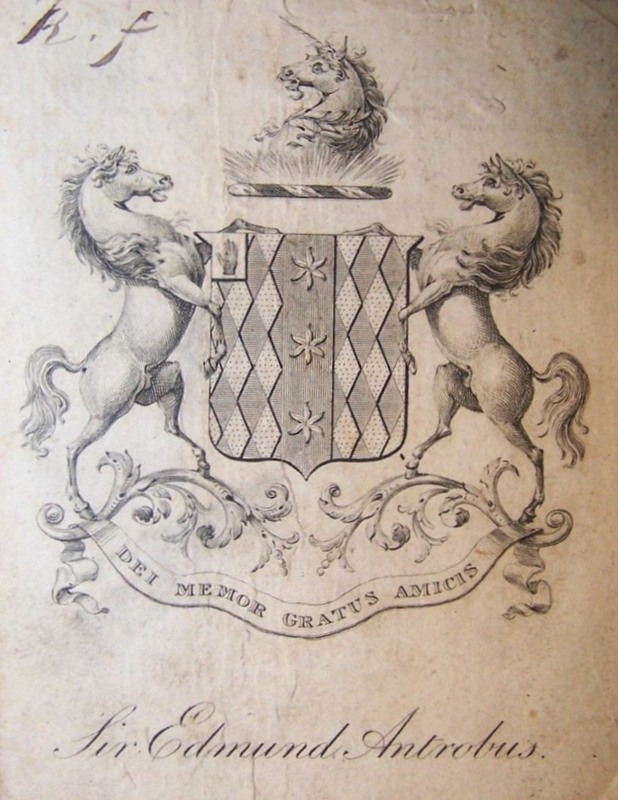 Antrobus is one of the names covered in my Armorial and eBay now has on sale the bookplate of Sir Edmund Antrobus Bt, the vendor is look-back-in-time. Arms: Lozengy Or and Azures on a pale Gules three estoiles of six points wavy of the first. Crest: Issuing out of rays proper a unicorn’s head couped Argent horned and maned Or gorged with a wreath of laurel proper.